Xfinity Home, the total home security and home automation solution by Comcast, is the only home security provider to offer its customers the ability to control and manage their home security system and many connected home devices via the Emmy winning X1 voice remote and call up commands on their TV. 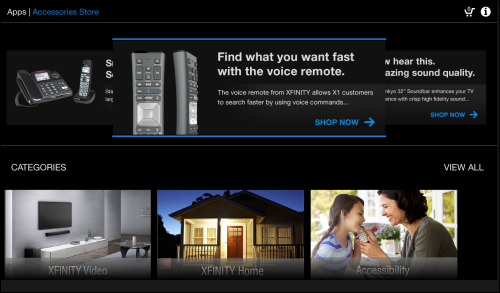 Homeowners that want a smart home would want Xfinity Home. The smart home is available today, but the real value of a smart home can only be unlocked by having a single platform that allows consumers to: • integrate multiple ‘smart’ home devices; • manage and control these devices; and • easily create rules or automated commands so for instance, at 11 p.m. the home automatically arms the security system, locks all the doors, and shuts off all the lights. All of these capabilities or benefits are offered by Xfinity Home, the total home security and home automation solution from Comcast. Additionally, Xfinity customers will get one bill and one support center to call for assistance or to troubleshoot any issues.